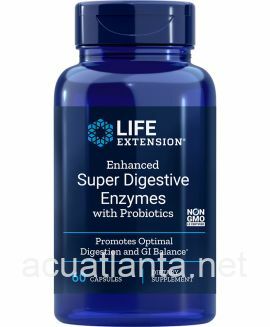 Enhanced Super Digestive Enzymes with Probiotics is a dietary supplement supporting normal digestive and gastrointestinal function. Enhanced Super Digestive Enzymes with Probiotics is recommended for those with digestive issues. Enhanced Super Digestive Enzymes with Probiotics contains specific enzymes supporting normal digestion and gastrointestinal function, and nutrient absorption. Digestive enzymes are important to the body’s absorption and optimal utilization of food and all its nutrients. 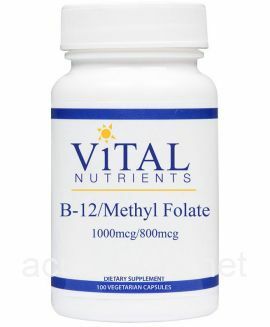 This formula contains proteases to help break down proteins, amylase to break down starch and short sugar chains called oligosaccharides, lipase to break down fats, cellulase to break down the indigestible polysaccharide in dietary cellulose and lactase to break down lactose. Enhanced Super Digestive Enzymes with Probiotics also contains the probiotic B. coagulans. 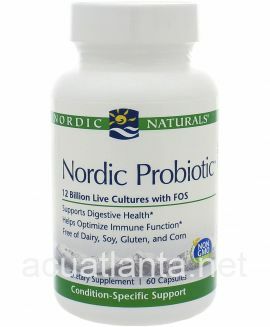 This probiotic creates a natural protective shield that resists digestion in the stomach allowing it to fully colonize in the intestines, for a digestive comfort. 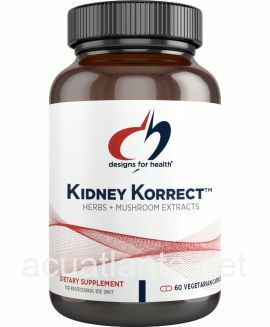 As a dietary supplement, take one (1) capsule one to two times daily prior to the heaviest meals, or as recommended by a healthcare practitioner. Enhanced Super Digestive Enzymes with Probiotics product is available only from licensed healthcare professionals. 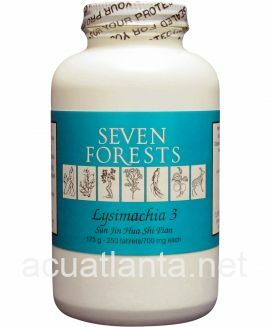 Buy Enhanced Super Digestive Enzymes with Probiotics Online here at AcuAtlanta.net or our clinic. 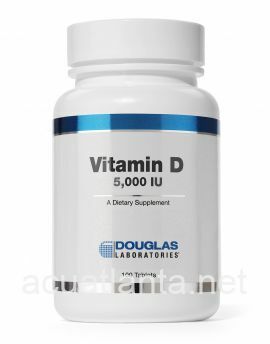 Customer who purchased Enhanced Super Digestive Enzymes with Probiotics 60 capsules online also bought the following products which may be of interest to you.